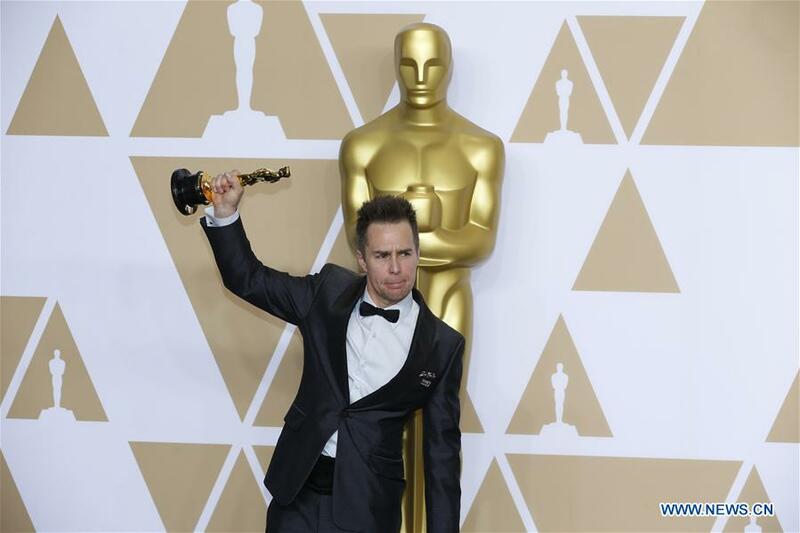 LOS ANGELES, March 4 (Xinhua) -- Sam Rockwell received Best Supporting Actor at the 90thAcademy Awards for his role in "Three Billboards Outside Ebbing, Missouri" on Sunday. Rockwell, portraying "Three Billboards Outside Ebbing, Missouri" dim-witted, racist cop with anger management issues, garnered widespread acclaim and earned him numerous accolades, including theGolden GlobeAward for Best Supporting Actor -- Motion Picture and Screen Actors Guild Award for Outstanding Performance by a Male Actor in a Supporting Role before the Oscars this year. This is the first Oscar win for Rockwell. "I'd like to thank the Academy, never thought I'd say those words," he said in his acceptance speech.